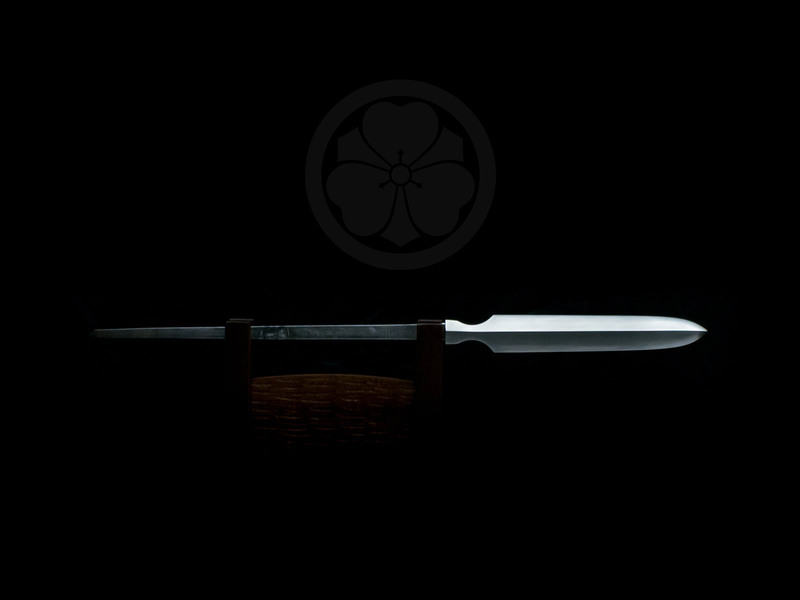 An elegantly shaped yari with subtle hada and suguha hamon. 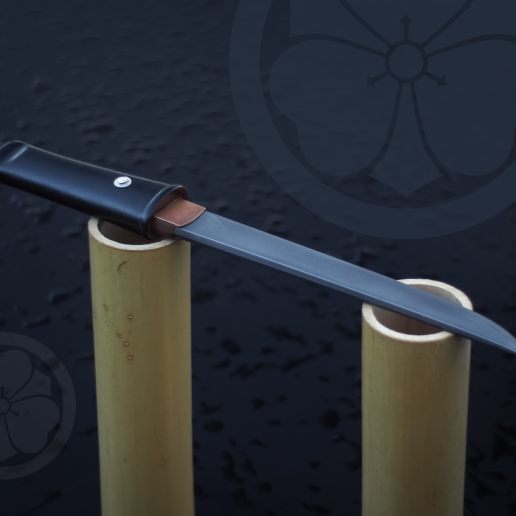 This project began as a personal challenge and an exploration of the beauty and symmetry that can be found in the sankaku style yari (三角槍). 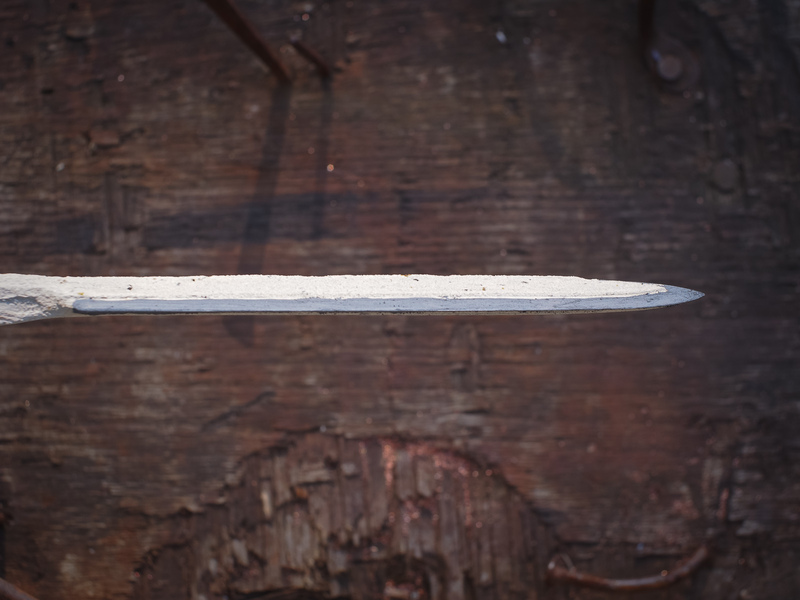 The cross section of the blade is triangular in this style, the spine quite thick and strong, and the tip is centered on both axis. 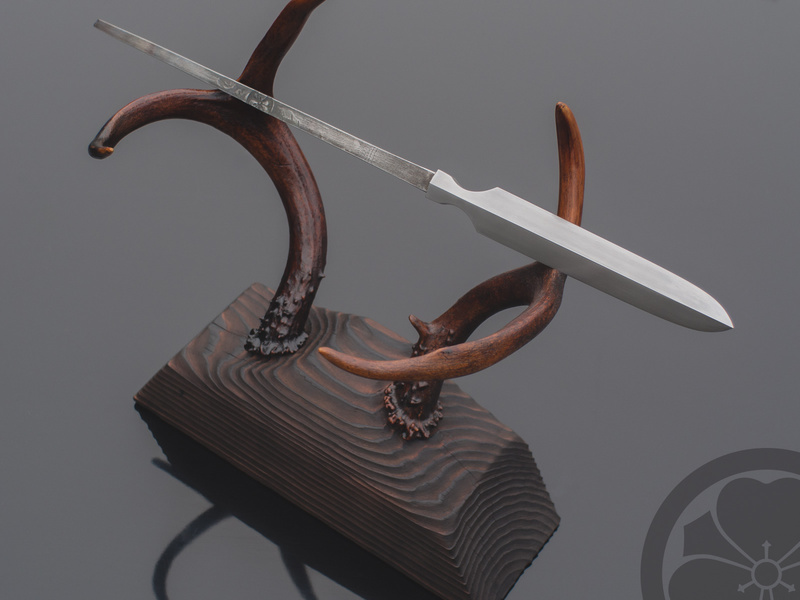 The basic form is fairly defined, but there are several historical variations on the lengths of the blade and tang as well as the sculpting of the neck area. 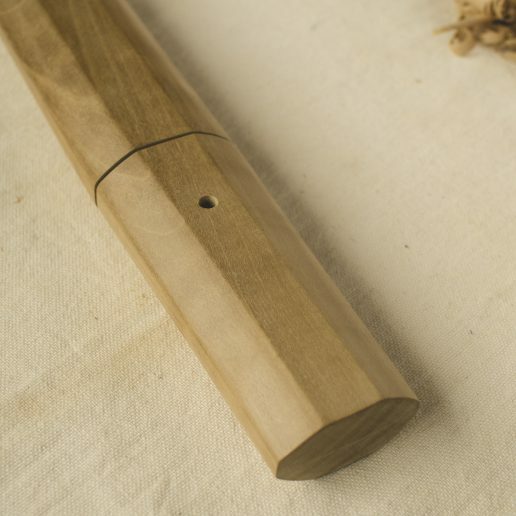 Appreciation for detail in everyday utilitarian objects is one of the elements that shows up in traditional Japanese craft. 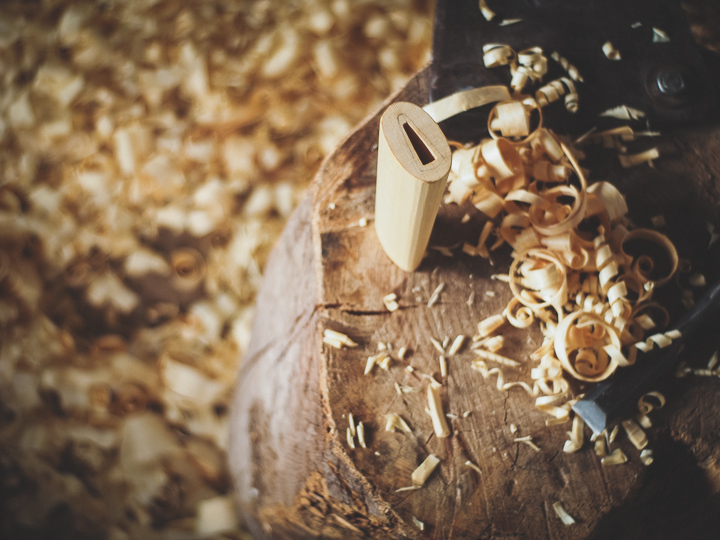 Historically, this was expressed by attention to the precise development of form, line, and detail, and is even found in components or areas that were hidden from view or secondary in importance. 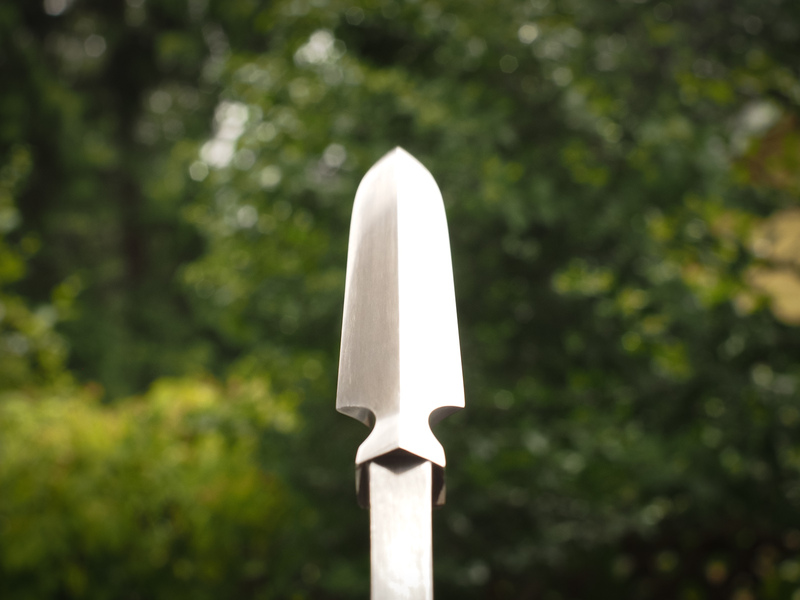 Historically, this type of spear would have been mounted on a sturdy hardwood pole around two metres in length, though there were examples up to six metres for defense against cavalry. 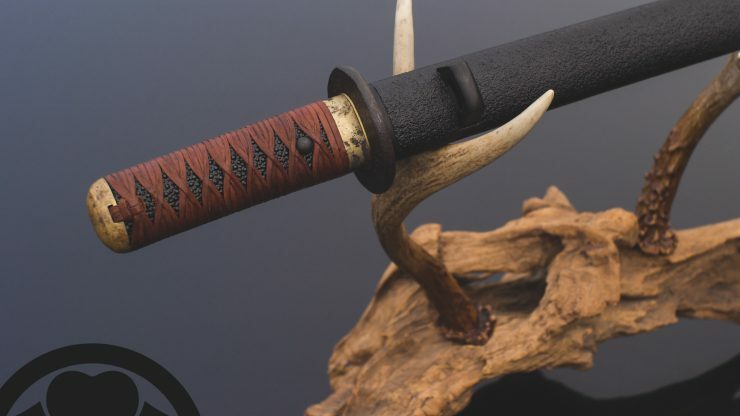 The top of the pole would have a lacquer finish, several iron bands and a strip down each side, and like a tanto, the yari would have a copper habaki and a bamboo peg through the tang to hold it in place. 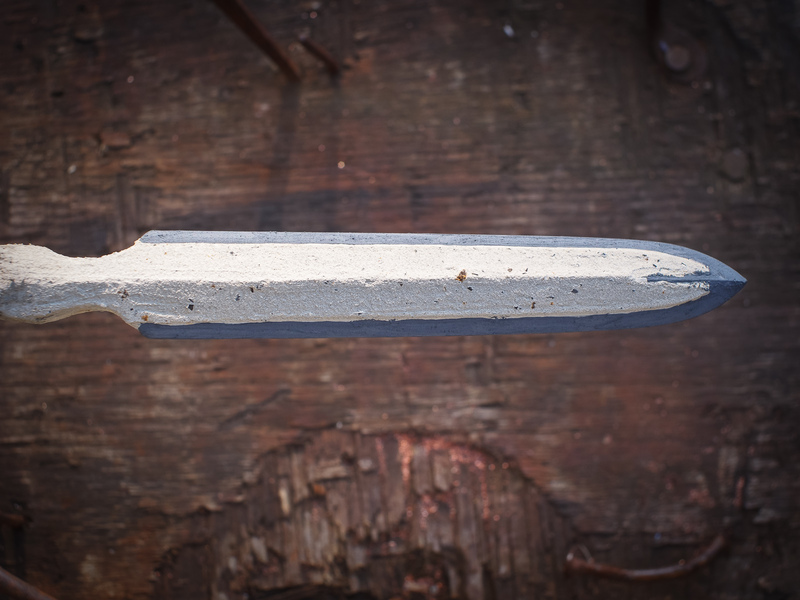 This yari is made from reclaimed shear steel from a horse-drawn carriage axle which is likely upwards of a century old. The axle has evidence of forge welds on it and may have been repaired by a blacksmith at some point using locally-available materials. 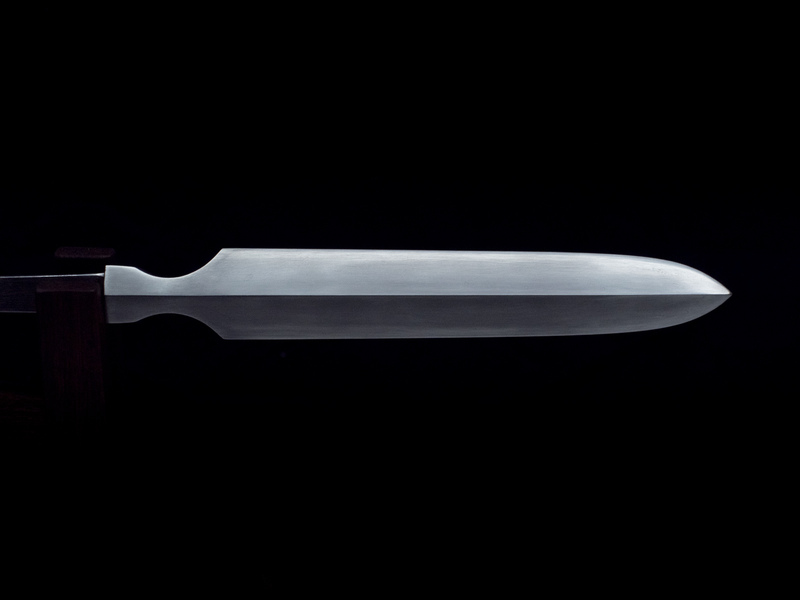 The blade was hand forged in a charcoal fire, shaped with files, differentially hardened using traditional water quench yaki-ire, and polished by hand with water stones to reveal a suguha hamon and a subtle hada. 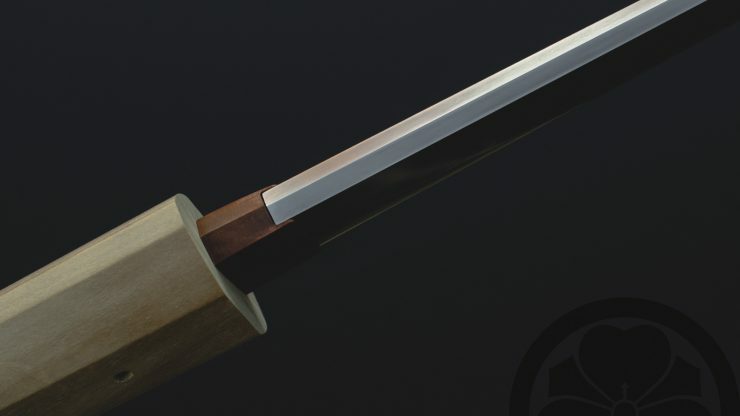 Blade construction is muku with a sankaku profile and a raised/centered tip. 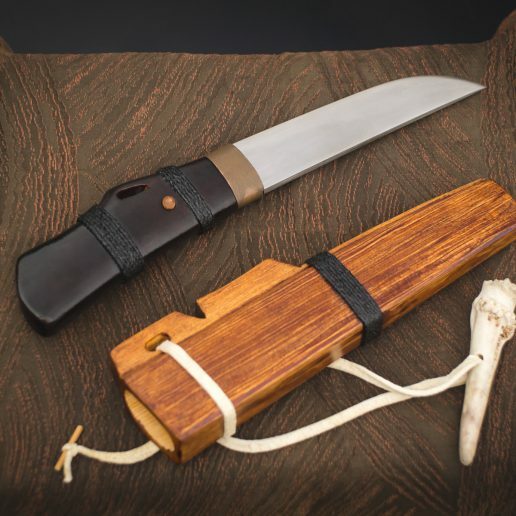 The blade is approximately 7.5″ long, the tang is 10.25″ long, and the overall length is about 17.75″. Accompanied by a full colour 20 page hardcover photo book documenting the process. 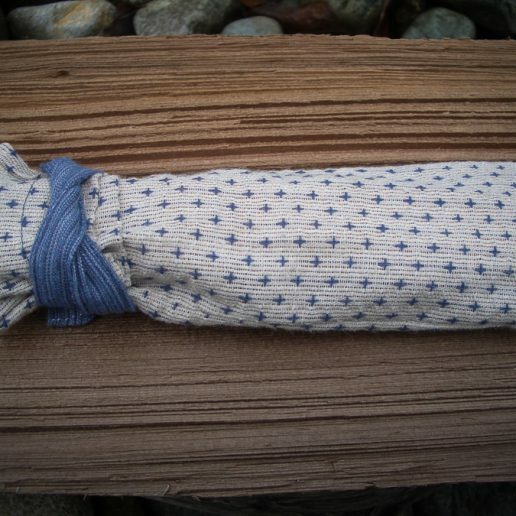 Please inquire about a custom stand, shirasaya (storage scabbard) and storage bag, or add a custom storage solution to your order. 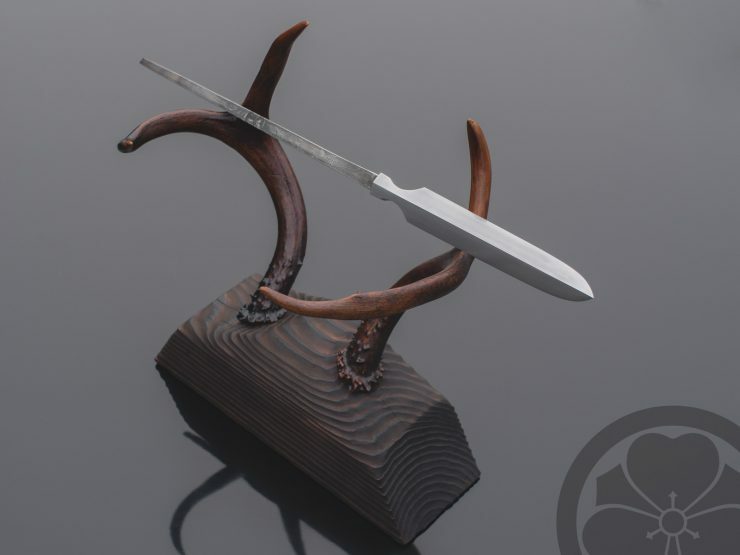 Pairs well with Yakisugi Antler Tanto Kake. 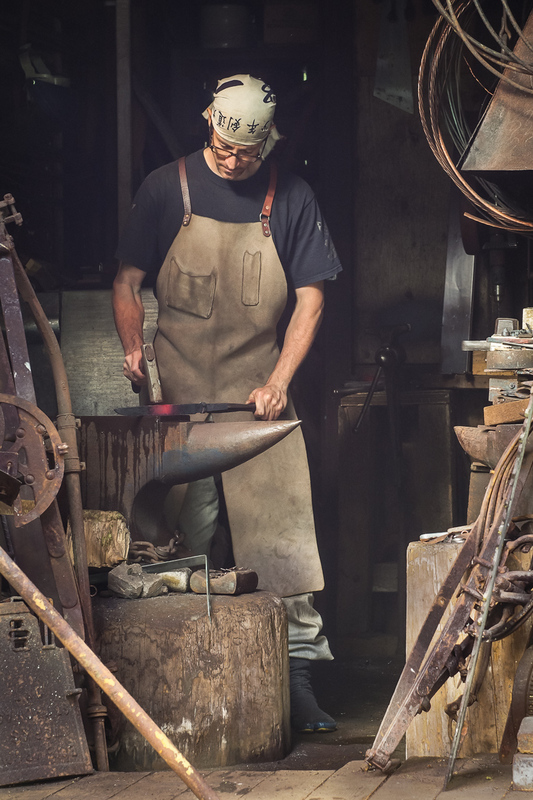 The raw material for this blade spent more than the last century as a repaired axle section for a horse-drawn carriage. 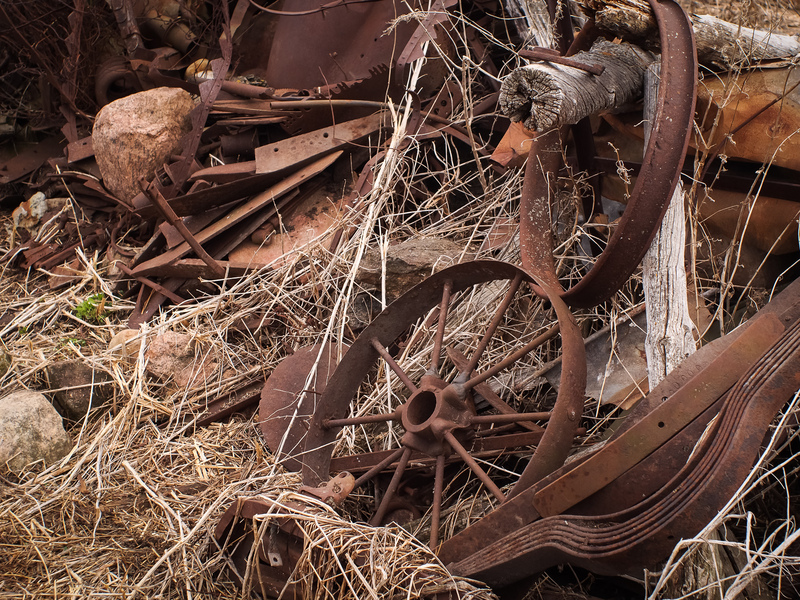 It is somewhat unusual to come across this type of steel and is a rare find, especially as an axle. 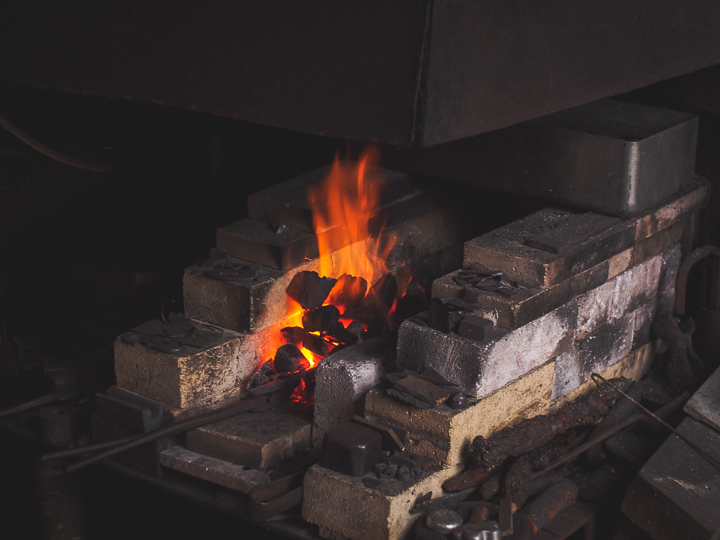 It is a type of steel called “shear steel”, predating mass-produced crucible steel and the Bessemer process. 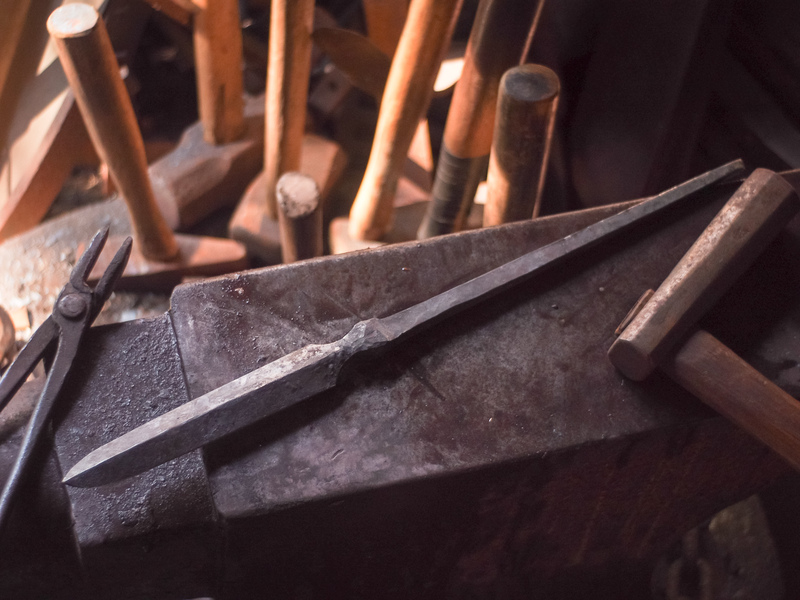 This particular axle has evidence of forge welds on it and may have been repaired by a blacksmith at some point using locally-available materials. 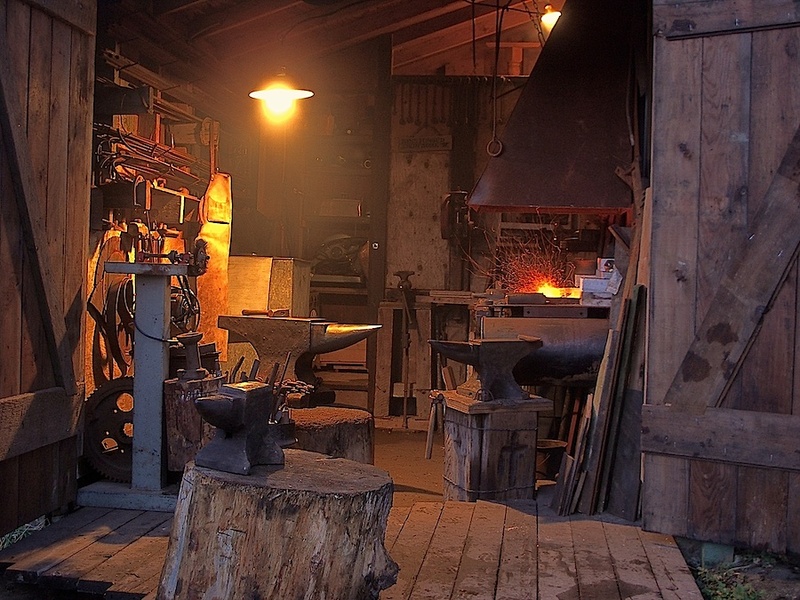 On the left a horse-drawn carriage axle, in the foreground a forge weld where a last-century blacksmith joined the stock hubs to a length of available scrap to complete or repair the axle. 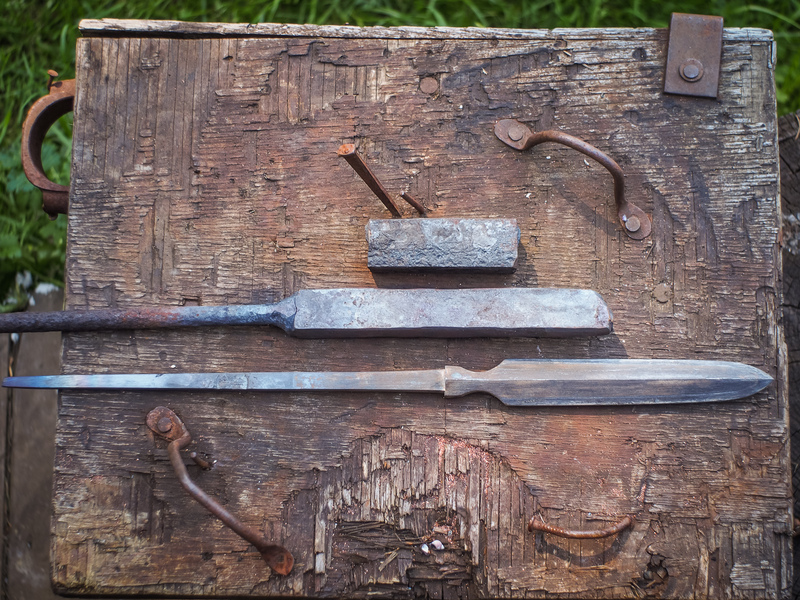 While most stock axles in this era seem to be mild steel or wrought iron, a break test indicated the centre section to be in the neighbourhood of .5% carbon and possibly shear steel…about half (~4″ x ~1″ square) of the segment on the right was used for this project. 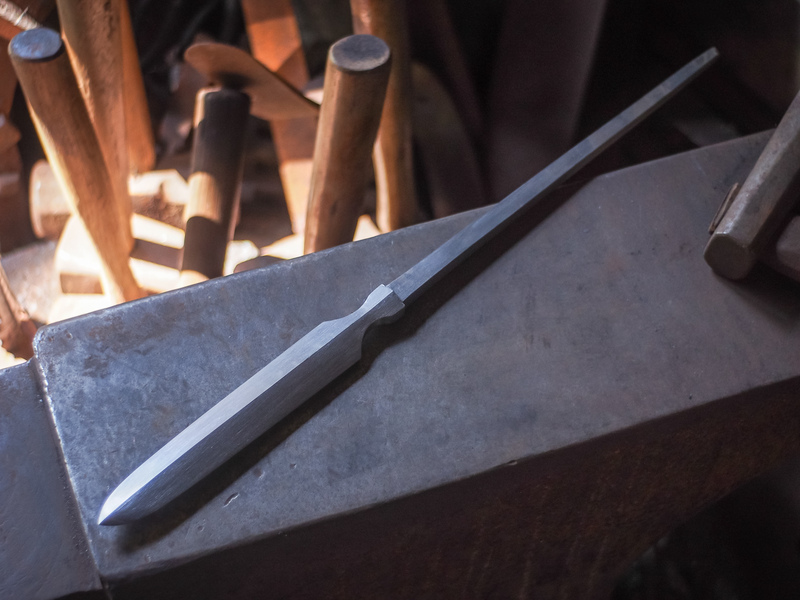 A teko (temporary handle) is attached to the axle billet for the initial drawing out to about twice the original length, some serious hand work for high carbon steel. 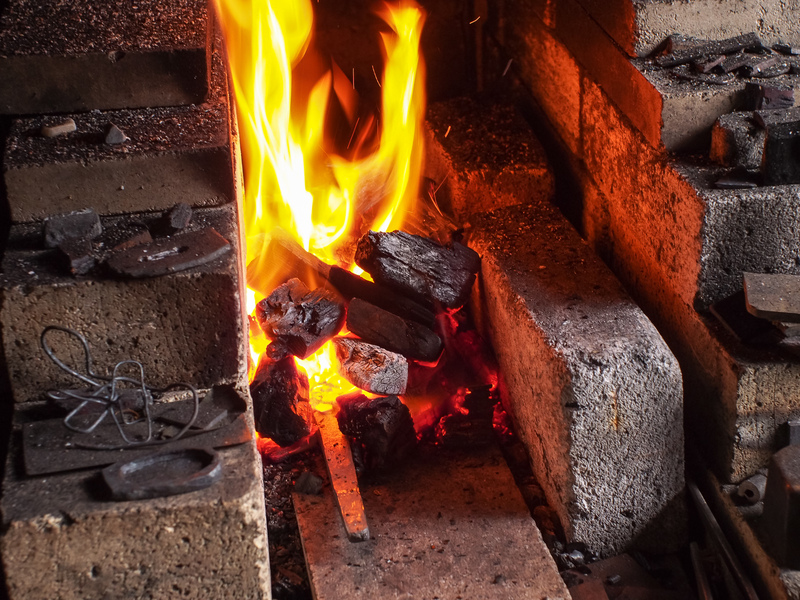 Note the pile of forge scale indicating many heats! 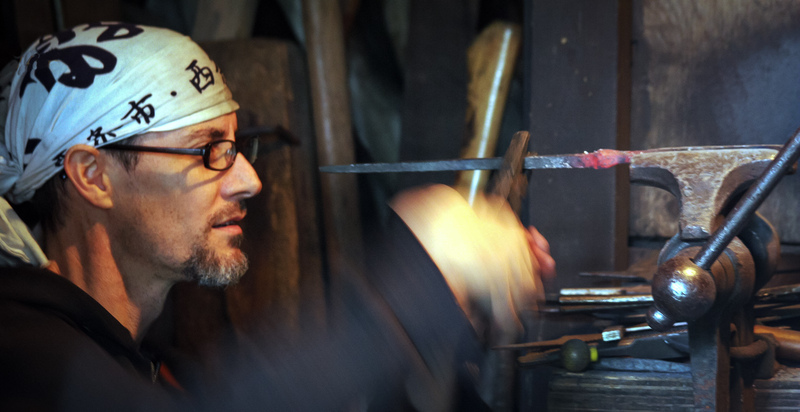 The teko is removed as the sunobe begins to take shape, allotting material for the tang and the blade. 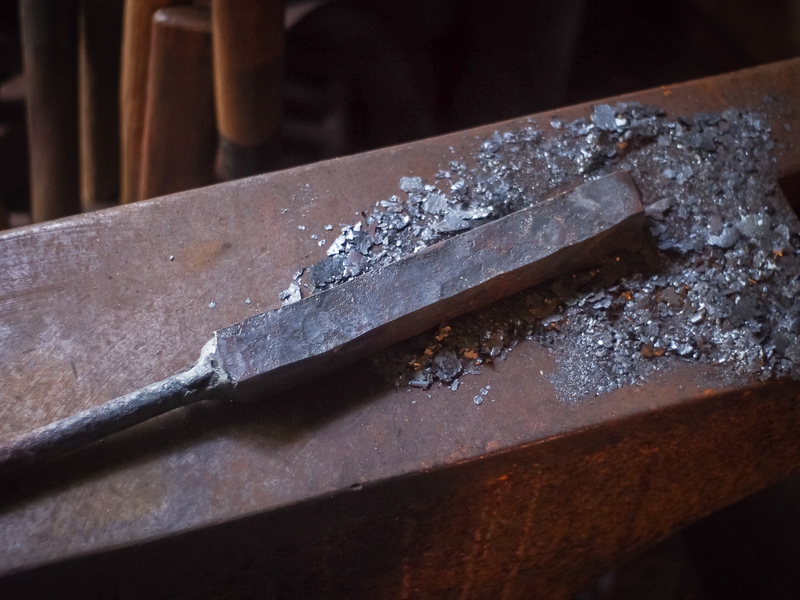 A neck forged and then cleaned up by hot filing at the vice with a rasp while at a red heat. 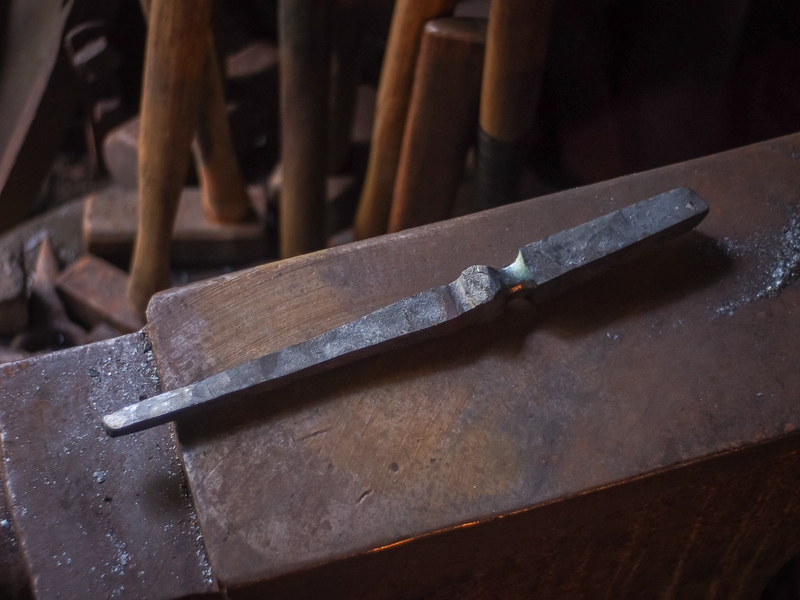 Repeated rounds of forging to bring the blade and tang closer to finished shape and size. 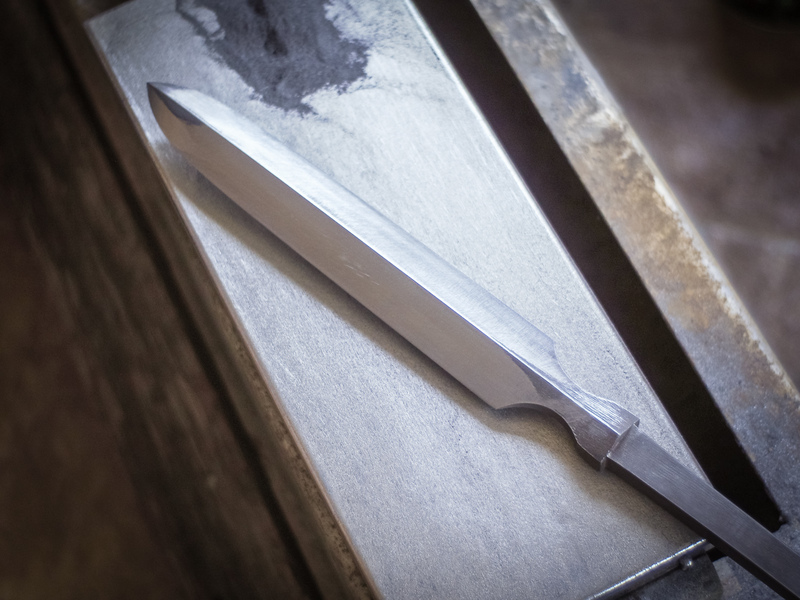 After the final rounds of forging. 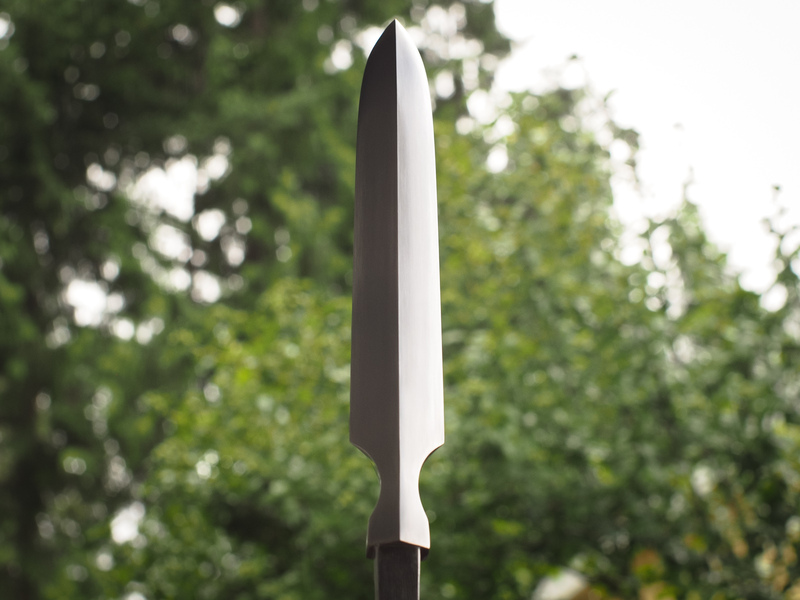 At this point it is about 18″ long, drawn out from the original 4″ bar. 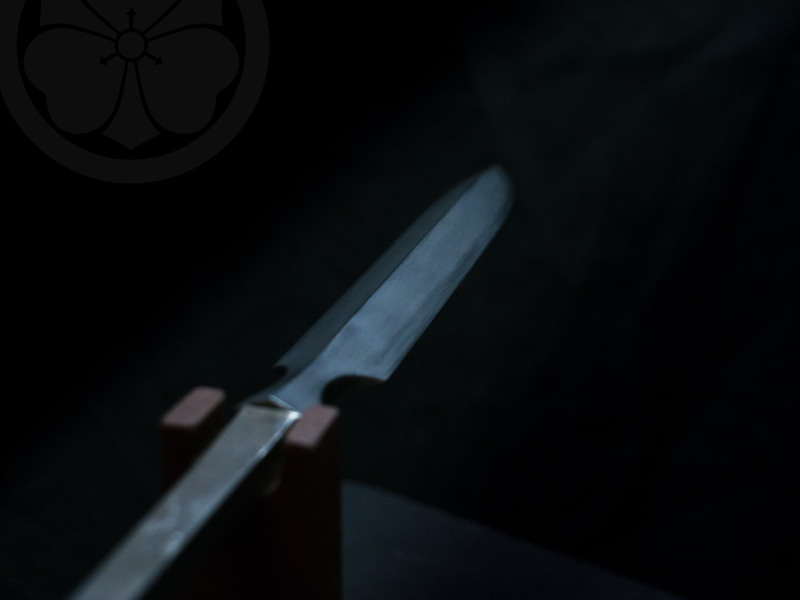 This type of yari has a sankaku (triangle) cross section so the back is flat and the spine is quite thick. 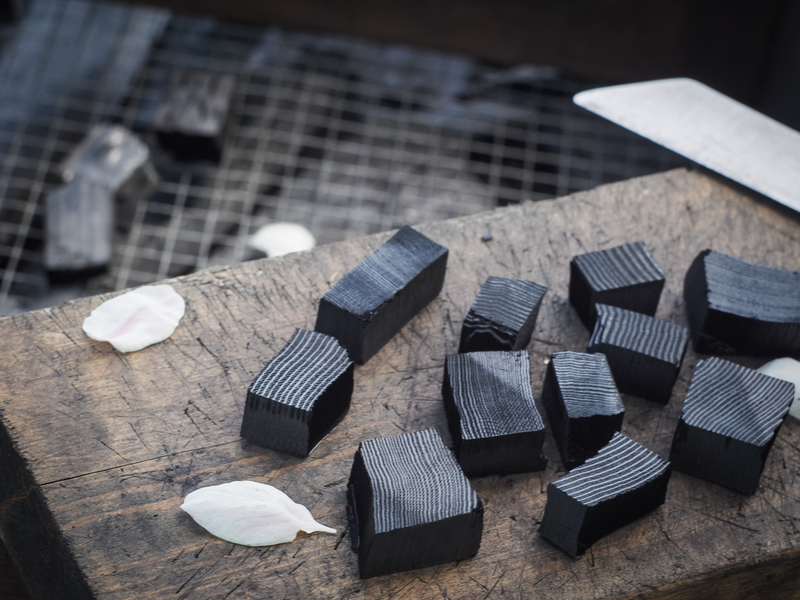 Filed and drawfiled in preparation for the traditional yaki-ire method of hardening using clay, a charcoal forge, and water. 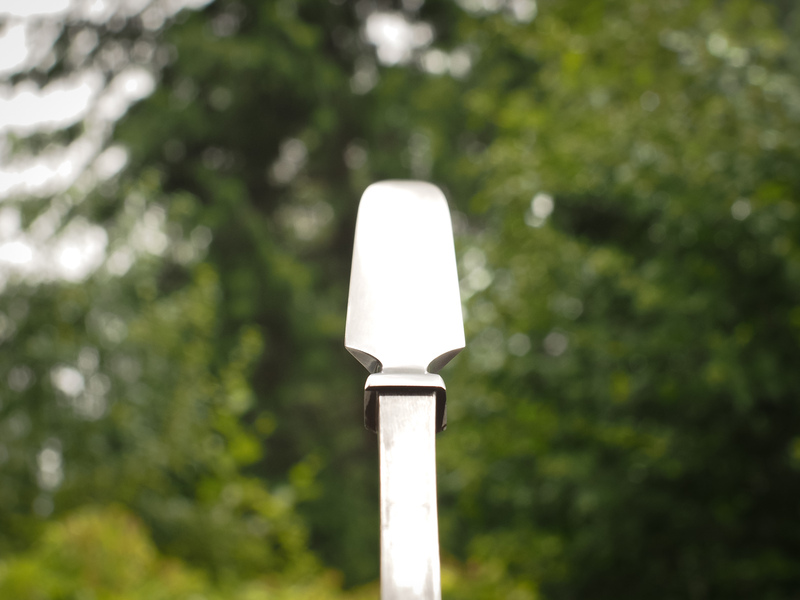 Note that the flat back curves up towards the point to centre the tip. Three views of the dried clay mask just before yaki-ire. 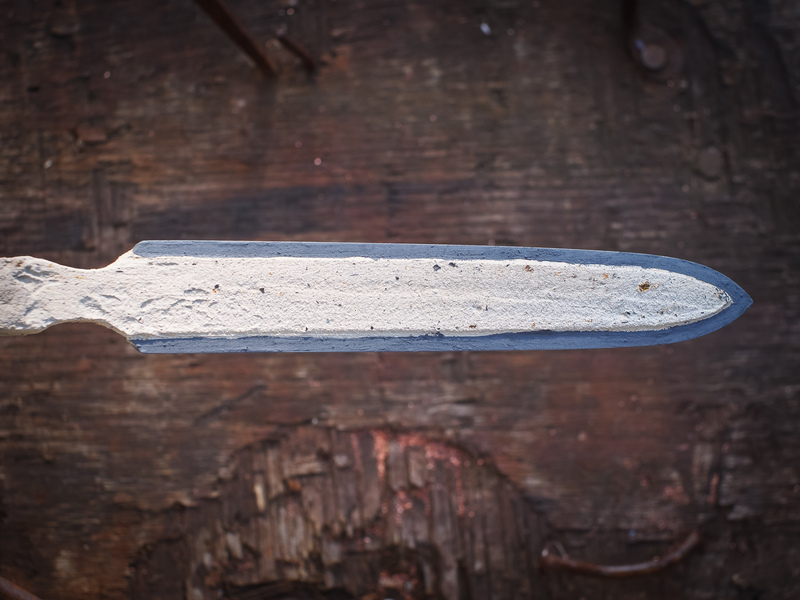 The thicker clay slows the cooling while the thin charcoal-rich clay speeds the cooling causing a very hard edge to form while the body stays tough. 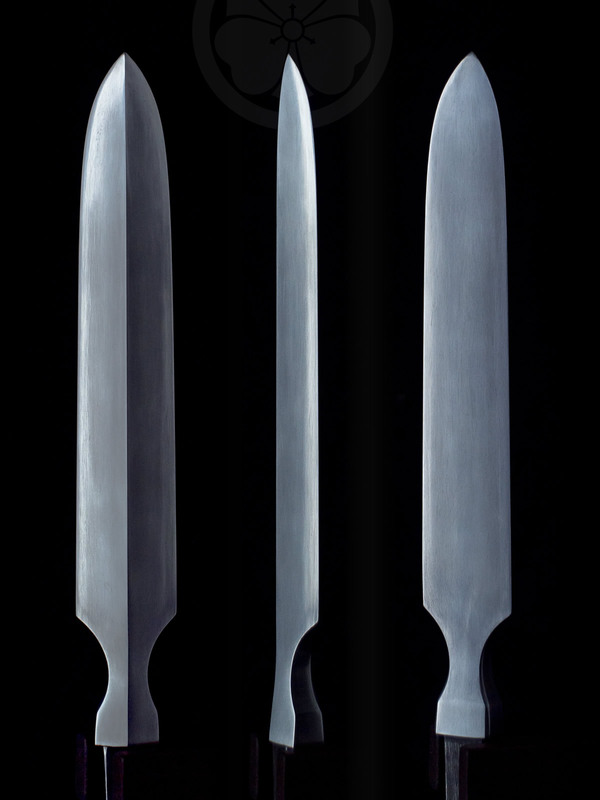 Note that the centre spine is also exposed near the tip so that all three leading edges are hardened there for a distance. 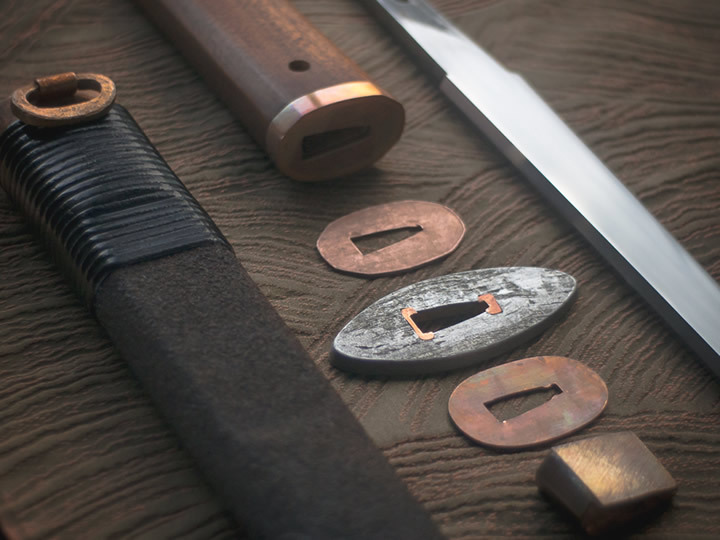 Showing the comparative size and shape of the same volume of steel at different stages from the original axle section at the top, pre-sunobe, and just after yaki-ire at the bottom. Cutting dry with a very coarse diamond stone to true up the flats after yaki-ire and then down through the grits with water on the stones. At the coarse stages the blade moves perpendicular to the stones and for each new stone the scratch pattern angle moves closer to parallel (eg. 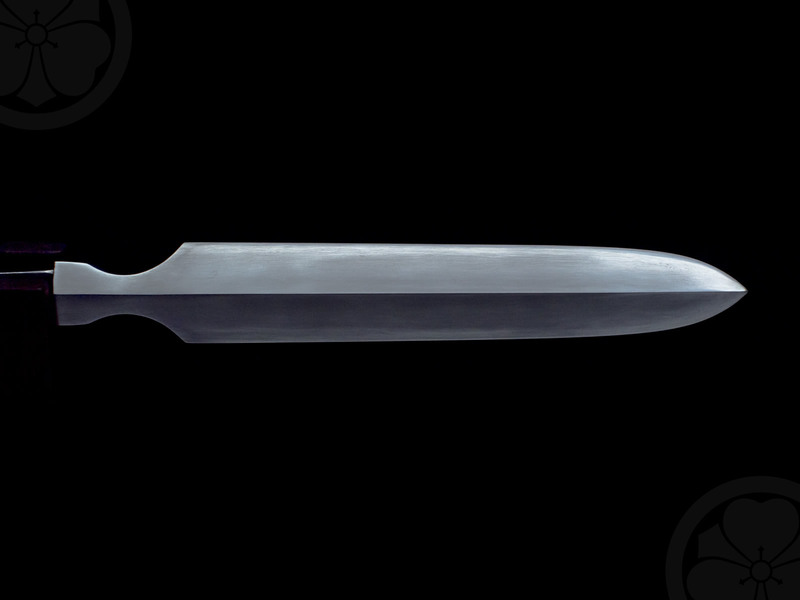 90 degrees, 45 degrees, 20 degrees) and then all the rest are at 0 degrees, along the blade. 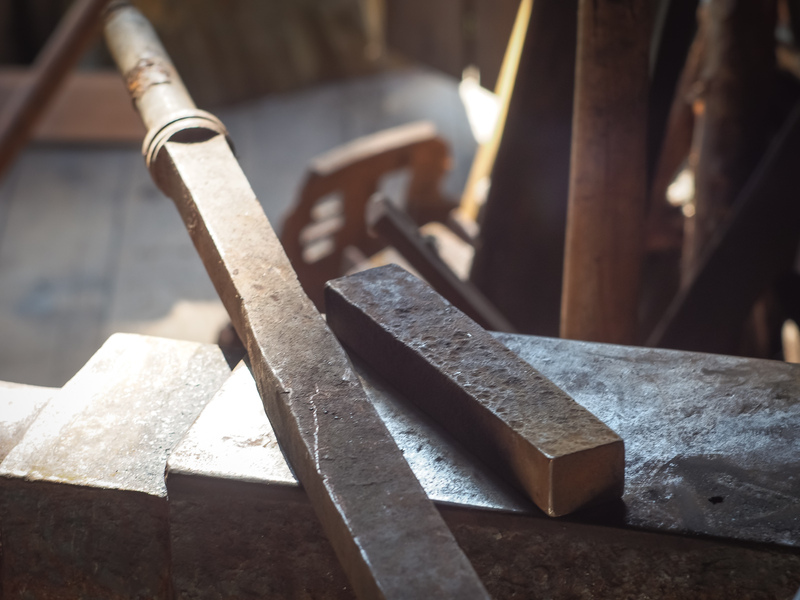 The final stages take as long as all the previous stones together and involve working with a tiny piece of stone under the thumb to work over every few mm of the surface, removing the final scuffs and bringing up the texture and grain of the steel. 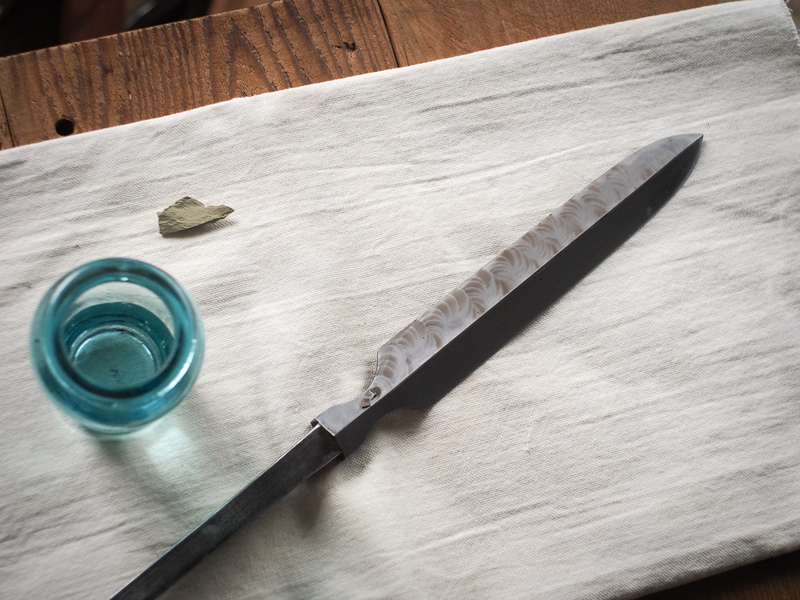 Here the tojiru slurry forms an interesting wave pattern as the blade is polished with the narutakido jizuya fingerstones.